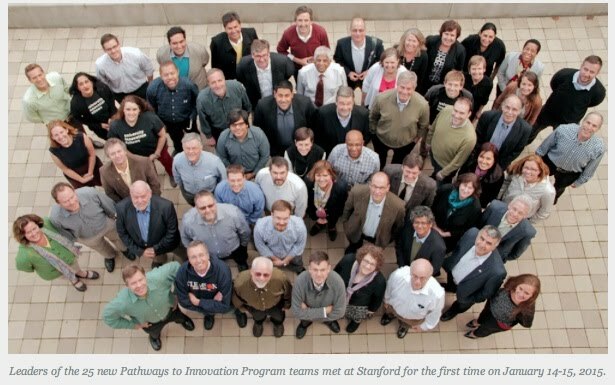 The NSF-funded National Center for Engineering Pathways to Innovation (Epicenter) at Stanford University has chosen Oregon State University and a team led by Prof. Sundar V. Atre, as one of 25 U.S. university teams to take part in a cohort of Epicenter’s Pathways to Innovation Program. The program helps institutions incorporate innovation and entrepreneurship into undergraduate engineering education and guides teams of faculty and administrators through a two-year process to design and implement unique plans for each institution. The theme of Oregon State's University will be Venture Engineering. For program details please see the link: 2015 Pathways to Innovation. Some glimpses of the January meeting at Stanford can be found in this link: Team Leaders Meeting. Coverage of the February meeting at Phoenix can be found in this link: Pathways Meeting.